Back in the old time, my mom owned a vegan food stand; in fact outside of school, my whole childhood was all revolving around making, handling and cooking tofu, soy and other vegan products for her to sell. Even my first job in the US was at Hung Vuong tofu in San Jose, California during high school years. As life goes on, cooking tofu is not just for vegan purpose anymore, but it’s also enticing into our family normal meals. Recently, due to the need of dieting, I found my love for tofu ascending to even a new level. Tofu, also called bean curd by some, is the product of the coagulating soy milk in thin fabric covered molding to form edible blocks/rows. The result, depend on desired hardness, will be pressed to remove excess level of water. Making tofu is not hard, and can be done at home. However, making great tasting tofu does required lots of detail and attention. Most of the tofu manufacturer would soaked, processed, and making milk out of their own soy bean. They also keep a secret ratio of the “perfect” coagulant that’s either Salt or Acid- base or both. These coagulants are what determine the texture and after taste of the final products. Tofu, when alone by itself, has a very bland subtle flavor, thus suitable for any kind of dishes, from main to desserts, sweets or marinated. 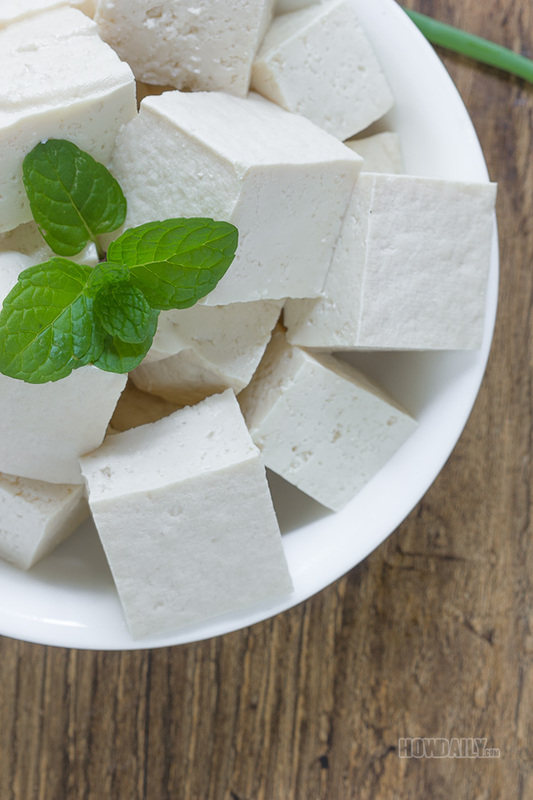 Some manufacturer will add additives and filler, both natural and artificial when making tofu to enhance the flavor, texture and longevity. In general, a typical all-natural, no filler, no additive tofu should be consumed within the same days. In South East Asia, back when those times when refrigerator is a luxury to have, tofu are kept by either frying or soaking in clean cold water. That can keep them safe for a day or two (depending on temperature) before turning sour. Now with fridge, it could be kept for longer by wrapping with moist paper towel but should still be consumed within 2-3 days upon open/made. Don’t be confused as some other products such as almond tofu, tamago dofu, peanut tofu, etc. even with the tofu suffix, they’re actually making out of jelly or algae ingredients. Tofu pudding is the softest of all tofu, too soft to hold its shape. Like all tofu, it is being made from coagulating soy milk with coagulant such as food grade gypsum(salt base) or GDL(acid base). It is really simple and can be made at home by just throw in the coagulant into strained cooked soy milk. Tofu pudding is consumed with various flavored syrup (ginger, pandan, Cambodian palm) and coconut cream. Silken tofu is a soft, Japanese style tofu. The product after being coagulating, was not pressed, drained or any kind. It has the highest water concentration, very smooth texture both inside/out and creamy taste. 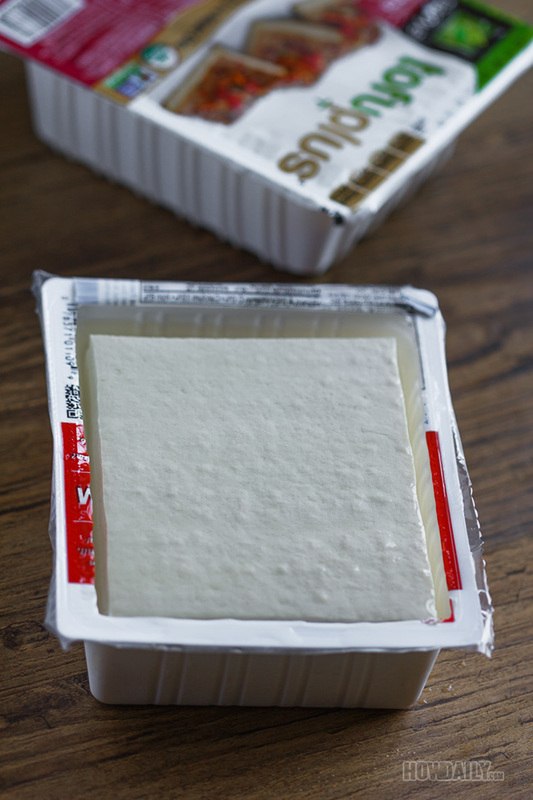 For that, silken tofu is often packaged in paper carton Silken tofu is divided into soft, firm and extra firm level of harness or coagulation, even though, they’re all smooth and silky. Silken tofu can be used to cook soup, smoothies, dessert or basically any recipes that call for cheese, egg or dairy product as substitution. Soft or Extra soft: the softness is that equivalent to silken tofu. However, its outer surface still have some light fabric indent, and its skin is detectable by being a shade two darker and dryer compare to its flesh. (As in with silken tofu there’s no “skin”). It can be used in culinary the same ways silken tofu, and some time being interchange with firm tofu in dish for softer texture desire. Medium firm tofu: depend on the brand, sometimes all medium, medium firm and firm tofu are all feel the same. It’s just a bit denser/harder than soft tofu but still preserved lots of water in itself. It’s perfect for deep fried, stir fried, braised dishes…It could work in soup and cheesy dishes too. In fact, this is the most widely used in cooking main dishes. Firm tofu: like medium tofu, this type of tofu can be used in almost any fry, grill, braise dished. Due to being lack of water and strong shape holding, this is perfect to marinate for more flavorful taste. Extra firm tofu: even firmer and denser. This is the type of tofu where the most water was removed from being pressed. Its skin is thick, rubbery, chewy and show the clearest muslin pattern. 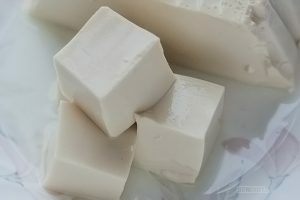 Sometimes during the manufacturing process, flavored ingredients were added to soy milk before adding coagulant and pressed to create specific flavored tofu. These type of tofu are usually then fried, grilled, soup, etc.. but in simpler form of cooking since they’re already marinated/flavored. Some popular additives are onion, green onion, turmeric, etc. From the fresh tofu, many ready made tofu products are being made to aid the customers in general. These products are either re-processed from fresh tofu or simply alternate processing from soy milk instead of the regular coagulating. Some popular processed products are as below. Fermented Tofu (chao) is also called preserved or pickle tofu. It is the result of fresh tofu being ferment/cure in open-air zone with air borne bacteria. The fermented tofu is usually cubed, fermented and soaked in brine with mixture spice, vinegar, etc. depend on brand. There’s also another, probably less well known, type of fermented tofu that are popular among the old times Buddhism vegans (pagoda fermented) where all tofu is salted, air dried in dark area in longer cure duration. The result is soft, non-shape, foul cheese smelling tofu that are served with sweet and sour seasoning added. This is the mouthiest, creamiest, buttery fermented tofu that is rival to Brie. Dried Tofu is a block tofu that has a very rubbery and chewy texture. Dried tofu sometimes cut into thin strand to make tofu noodle. Another version is the Japanese’s inari, which is the skin pouch of dried tofu for stuffing. Other processed dried tofu often come with flavor such as smoked, five spice, turmeric on its outer shelves. Frozen Tofu is usually come in yellow leathery block that is great in absorbing marinated ingredients, hence great in braised disc. Tofu skin is created by heating soy milk with some mild coagulant and remove the top most solidified layer one by one. This layer is hang dry on rack. 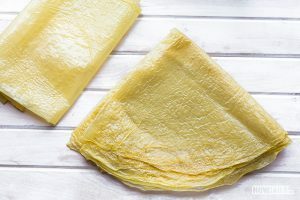 Depend on the dryness, tofu skin is divided into dry, avg dry and wet. No matter which, they are often used to make imitation meat or sausage patties. They can also be fried and serve in hot pot or use as wrappers in many dishes. Tofu pulp is the insoluble result from tofu and/or soy milk making process. While being less popular in the States, it is very useful in the Eastern counter parts. It is being used in many Eastern cuisine such as Vietnam, Japan, Korea, China, Cambodia and Thailand. In vegan art culinary, it basically could replace any ground meats /protein to be called for. Tofu has lots of benefits. It contains lots of protein, amino acids, iron, calcium, manganese and phosphorous. It is also a great source for magnesium, copper, zinc and vitamin B. For vegans who barely or not consume meat, tofu is almost the only source of protein. For others, e.g. 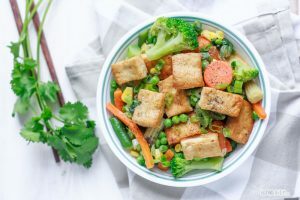 non-vegan, replacing tofu in some of your meals will help decreasing the risks of obesity, diabetes, breast cancer, liver damage, cardiovascular, age related brain and heart diseases. Due to its high calcium and mineral, it also helps promoting increased energy, weight loss and enhancing hair, nail, and skin growing. 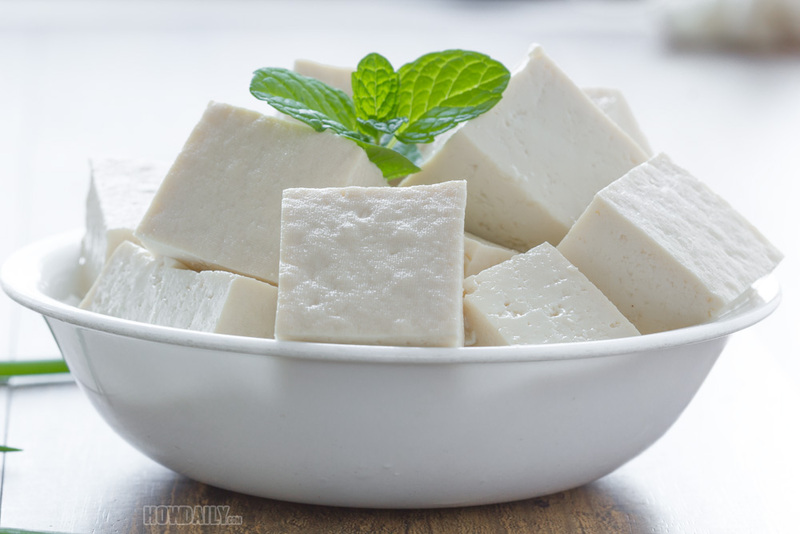 The most common cooking method for tofu. Fried tofu can be served as is with condiments such as chili paste, soy sauce, fine shrimp sauce, etc. It can also be the base ingredients in many braised/marinated dish, vegan or not. Most stir fried dishes, hot pot, sour soup, etc. would often required fried tofu too. Another method to cook tofu is stir fry it. 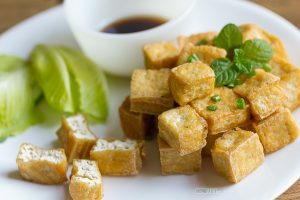 This method involved fried tofu, often with a lot less oil compared to the above but took longer for all pieces to achieve the same golden brown appearance. The fried tofu with this method often less crispy and more chewy. It can be served as is or stir/pan fry with mushroom and other vegetables.